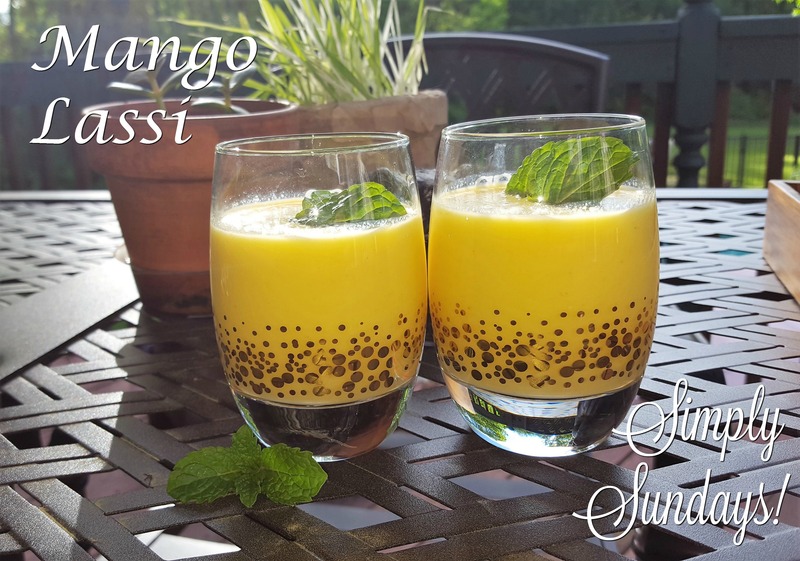 Mango Lassi – Simply Sundays! It has fruit so it must be healthy, right?? Well, I’m not sure about that but I do know that Mango Lassis are delicious! Sweet mango, tangy Greek yogurt and a punch of spiced rum make this slushy cocktail perfect for warm weather get-togethers!